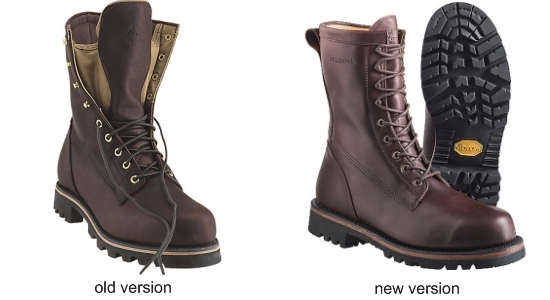 Filson recently switched vendors for their boots, but to whom? The new versions seem off for some reason. “Country Of Origin: Imported” – WTF? The styles look the same, but the hardware and leather in the new versions look questionable in their stock photos. I guess I should hold judgment until I see them in person. Update: I just heard from someone at Filson, and they said that they’re now being made in the Dominican Republic. To paraphrase, they tried to find a U.S. vendor, but nobody could meet their quality demands [translation: nobody would make boots cheap enough for them]. It’s disappointing to hear, as there are still many great boot and shoe makers here in the states. I think I’m going to start calling around to the mom & pop type stores to try and track down a pair of the U.S. made Highlanders before it’s too late. Update 2: For the Canadians, Roden Gray is taking preorders as well. PSA: Context and Farinelli’s are now both taking preorders for the special Filson x Apolis Activism briefcase, price will be about $400. These will be a very limited run. 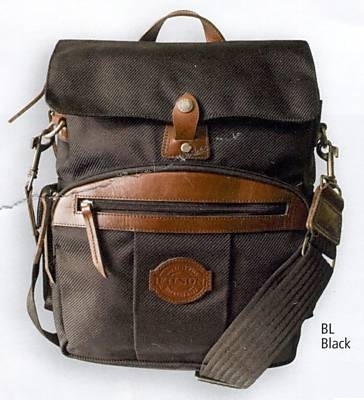 Filson’s New Luggage for Fall – wtf? I had heard Filson was working on some new luggage designs several months ago, but it wasn’t until now that I’ve been able to get any pictures of them. Instead of “iconic”, they went for “mediocrity”. These look like the same exact crap that you can already buy from dozens of other companies, why do we need more? Instead of putting out stuff like this, they should concentrate on the bags and luggage they already have. Maybe even try adding a few more colors besides shades of brown and green?